Wisconsin is the place to visit for fun. With so much to see and do, it would be impossible to highlight each and every place worth visiting. From how to get to where you’re going, to where to eat, play, and stay once you arrive, you can find resources and people ready to help you get the most out of your trip wherever you plan to travel. TravelWisconsin.com provides some of the best that Wisconsin has to offer, but there are many other great resources that will help you get to know Wisconsin better and plan a great trip. 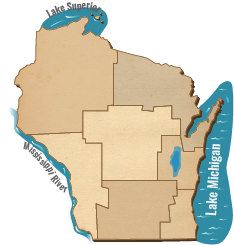 Here you can order print Wisconsin travel guides, sign up for e-newsletters, find contact information for our tourism and travel partners around the state and much more. Start planning your vacation today!